First, of course, you must know your target audience. Who is your niche market? Where do they hang out? Are they meeting at conferences, senior groups, clubs, churches, schools, community or other organizations? 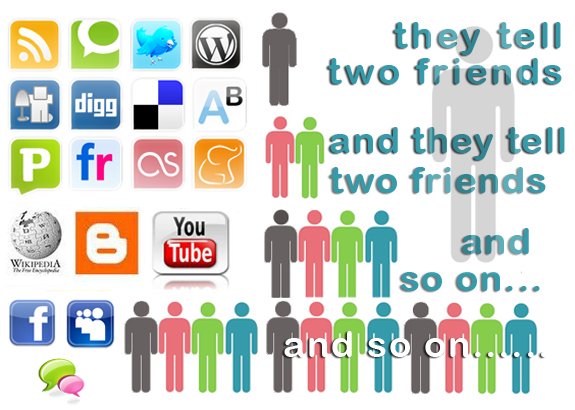 Or are they connecting with others using social media such as Facebook, Twitter, Foursquare, Youtube, etc.? Note: I’m not going to ignore the use of Direct Mail or more “traditional” marketing techniques. Well, actually, I am going to ignore them in this article (for some, they do still work). But they don’t directly connect you with your audience and successful Personal Trainers know that the best way to build rapport and trust is through interaction. So now, you’ve done your homework and found your market, what do you do from here? You need to find a way to join in their conversations. Connect with the group leaders and see if you can… join the group, volunteer with the group, or present to the group a topic that would be helpful to them. Like selling, your first priority is to be of service to them. You must create value, trust, confidence in you as a resource before you ask for anything in return. Social media works the same way. Find which ones are used by your target audience. Facebook, Twitter, Google+, Pinterest, blogs, etc. are all means of connecting with others. Create a presence by offering helpful information to your audience. If the content is interesting, they may then share the content you presented with their friends. Their friends share with their friends, etc, and before you know it, you have a large audience of potential clients. Successful Personal Trainers know how to market themselves by actively getting involved with their target market, whether it’s face to face or using social media. How are you establishing your presence? Successful Personal Trainers understand that a big part of the perceived value of their training comes from what is expected of them and what it is they actually deliver. 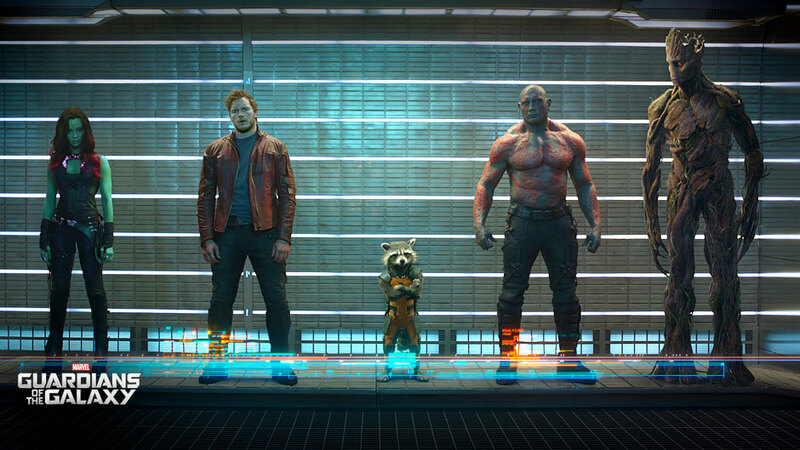 An example of perceived value is when I took the family to see the movie Guardians of the Galaxy in IMAX 3D, thinking, as I paid for the tickets, how expensive it was. The five of us cost $75!! I mean, it’s just a movie, right? 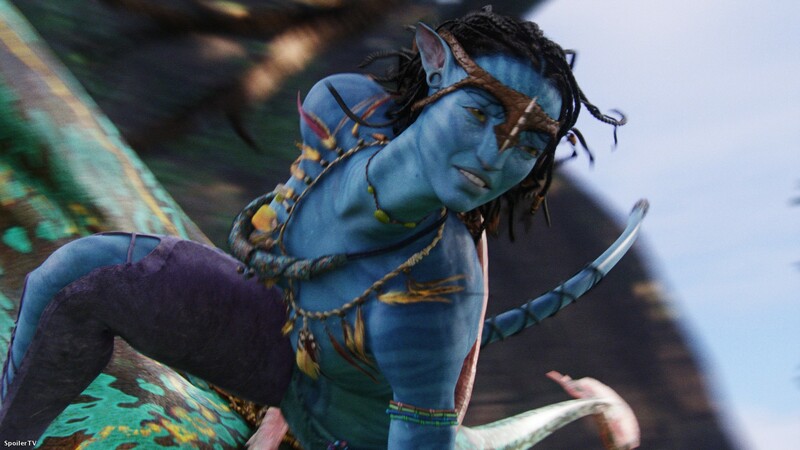 However, once the movie started it far exceeded my expectations and I immediately wanted that experience again. And yes, I would be happy to pay for it again. What are the expectations of potential clients? The service industry is woefully lacking in people that actually understand good service. Grumpy cashiers, store employees that don’t seem to know you’re waiting for help, and those that literally roll their eyes or groan when you do ask for assistance are par for the course. So even the basics are a step up. The basics include: Knowing how to create individualized programs, being punctual, having professional attire, warm and friendly greetings, leaving your personal problems at home, asking about them and really listening to their answers, making sure they know all policies from the start, guiding through and educating them about their workouts, talking with them not at them, ignoring other conversations in the room and keeping your full focus on your client, and asking the client how they feel about the workout. How can we exceed the basics and create experiences that enrich your relationship with your client? The listed are some possibilities if they fit you and your scenario: be entertaining (a good sense of humor goes a long way), keep adapting/changing their program as they are capable, offer praise often, make sure they leave feeling good about what they just accomplished at the end of each workout, reach out to them at other times by email, phone, cards, social networking, to check in with them, wish them happy birthday/anniversary, other important events in their life, etc. Do something unexpected and nice for them. Those are just some thoughts on what might make your clients really feel taken care of, over and above expectations. What do you do to over-deliver or create that experience for your clients? I’d love to hear your ideas. Think about this, in a sea of Personal Trainers that “do everything” how exactly do you stand out? You could claim that you offer “the best” training, but who doesn’t make that claim? Being a generalist says to potential clients that you specialize in nothing. What if I’m looking for someone to help me continue getting my newly replaced knee back in shape (after I’m through with physical therapy), and none of the Trainers at my club list post-rehab as their area of expertise, I might as well roll the dice to find someone to work with, IF, I don’t simply decide to go elsewhere. However, when one Trainer states that they are post-rehab conditioning specialists, they will stand out dramatically to me and will be the one that I hire. 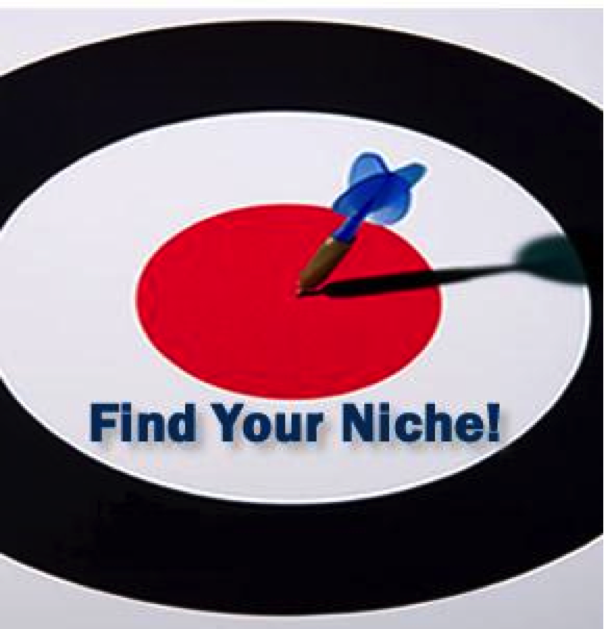 The fact is, the more specific that niche, the more likely you are to be found. If you are a senior weight loss specialist, even among senior fitness specialists, you stand out for those older individuals where weight loss is their primary concern. I will throw in this caveat, your niche has to have enough of a market in your area to be viable. In New York City a Bridal weight loss expert has vast potential for clients, where in a small, rural town, with a handful of weddings per year, it might not work as well. Maybe you don’t want to only work with that specific population (although you should really love the niche you choose). That’s OK. Having a niche does not restrict you from working with other populations if you want to. It is a way to get a specific market to find you. I am a post-rehab conditioning specialist and that accounts for the majority of my training. The rest of my training clients see me for weight loss, bodybuilding, general fitness, sports conditioning, etc. So, while many Personal Trainers think that it diminishes their market, having a niche actually increases your chance of being found, building your business. What is yours? Let me know in the comments below. For more on the need to niche, see Jack Trout’s book Differentiate or Die: Survival in Our Era of Killer Competition for more. “As you climb the ladder of success, make sure it’s leaning against the right building.” – ? I can’t remember who said that, but it is the truth. In order to know if you’re doing the right things for your future, you need to define what you want that future to be. What’s your business vision of where you want to be 5 years down the road? 10 years? 20 years? What’s your end game? We all have a balance of things that we want. Financial security, family, influence, enjoyment, fulfillment, recognition, etc. are all possible ingredients of our ideal life. What’s important to you? Exercise: take 30 seconds (no more) and list the top five things that are important to achieve in your life. Ready… START. With a timed test, we don’t have time to debate in our head what and why things are important. It’s a gut reaction, and a lot can be learned from that. What did you come up with? Did any of those surprise you? In example, let’s say financial freedom is one of those. What does that mean to you? Do you want to build a business, sell it for huge money, and never have to work again? Or, do you want to make “X” amount of dollars per year as long as you chose to work? By when do you want to achieve this goal? How does it fit in with your other goals? Where’s the overlap and the balance? It’s sort of like periodizing your life. Define when and what you want the results to be. Then you can back track and label the timeline with the steps that will take you to your goal. Successful Personal Trainers have a clear vision of where they are going, when they want to be there, and what steps are necessary to get them there. #3 Successful Personal Trainers Love to Sell. It’s interesting how many Personal Trainers hate to “sell”. 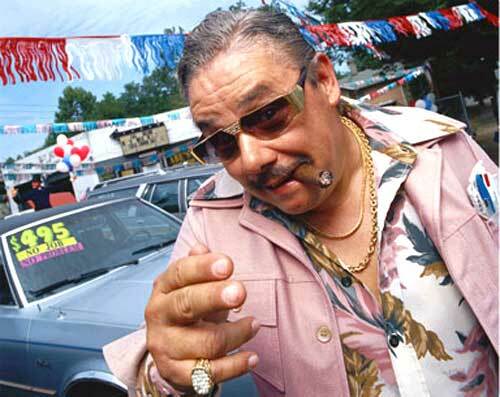 When talking about sales, what typically comes to mind is the sleazy car salesman who will say anything to get a sale. I, myself, as a club manager in the early ’80s, went through a sales training program that emphasized selling multi- year membership contracts and hoping that they wouldn’t show up. There were club salespeople that would sell memberships for classes that we didn’t even offer. Needless to say, I resigned shortly thereafter with a stong dislike for anything to do with sales. It wasn’t until years later when a friend pointed out to me that I was the biggest salesperson around, that I was able to re-define my ideas of what “selling” really was. My “selling”, that my friend pointed out, was my enthusiasm for fitness and my belief that I could help make others’ lives better. In essence, that’s what selling is for us. When we sit down with a potential client, we use our motivational interviewing techniques to uncover what their needs, wants, and what obstacles they have. Then, not unlike a doctor or physical therapist, we make an honest recommendation as to what we believe is the best course of action for them to reach their goals safely and effectively. The financial aspect, at this point, shouldn’t even come into play. This recommendation is our best case scenario for them. It may sound something like this, “Based on what you’ve told me, that you’ve had difficulty sticking with a program, become easily bored, and tend to get injured when working out on your own, I recommend that we work together ___ times per week. That way we can build your initial program, gradually ramp up the intensity while constantly monitoring your form for safety, and change it up before you get bored. It’ll keep you accountable and help you stick with the program, not to mention get you the results you want faster. Does that sound like something you’d be interested in?” That’s the idea. Specifically address their situation, make an honest recommendation, relate specifically how your recommendation will address their issues and get them to their goal, and ask if they’d like to have your help in changing their health/fitness. Successful Personal Trainers love “selling” because it is offering the potential client their best chance at success. Wouldn’t you love giving everyone that chance? Embrace that moment and make them the offer that can change their lives. 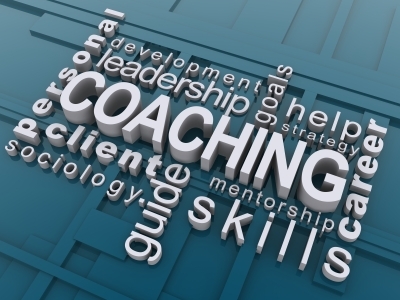 #2 Successful Personal Trainers are Coaches. Gone are the days when a personal trainer just gave workouts. The best trainers now seek to help clients achieve greater results by implementing a coaching relationship. Coaching begins by using Motivational Interviewing techniques that use open-ended questions to uncover a client’s beliefs and values and is a way to get your clients to create and sustain change. Coaches don’t tell a client what to do. They are a facilitator that allows the client to discover their own path of change. In other words, coaching gets them to come up with their own solutions. When the client comes up with the answers for what they need to do and are ready to do, they are more likely to follow through with those actions. The coach helps clients clarify their goals and uncover past and potential future obstacles. The coach will then guide the client to come up with viable solutions, help them define action plans, and create a system of accountability. A coach offers the client safe, open, and honest dialogue without judgment (something many people are missing in their lives), as well as ongoing support and encouragement. With the right guidance, you can help them to accomplish more than they believed possible. Successful Personal Trainers utilize coaching techniques to get and keep their clients engaged in their programs. While some Trainers inherently use many of these skills, a formal training program will take you to the next level.